New Delhi, Feb 13: Expecting that the world would take a “serious note” of Lashkar-e-Taiba terrorist-turned-approver David Coleman Headley’s revelations on the devastating 26/11 Mumbai attack that claimed 166 lives, security and legal experts believe they “conclusively established Pakistan’s role in terror attacks on India”. They, however, believed that there would be “a little impact” on Pakistan of what Headley tells a court in Mumbai via videoconferencing from a jail in the US. “As for whether these revelations would have any impact in the larger context of the world then I would say yes. Let the whole world know about it, so that we (India) can have more support of the world community,” former Indian Army chief General Ved Malik told on the phone from Panchkula in Punjab, where he has settled down after retirement. “We know that we have to fight our battle but we need to have international support as it also matters,” he added. Headley, a Pakistani American, in his deposition before Special TADA Court Judge G.A. Sanap, has made startling revelations, among others that the Pakistani terrorists who attacked several buildings and establishments in Mumbai in November 2008 were recruited and trained by the Pakistani Army and spy agency Inter-Services Intelligence (ISI). He has also listed a series of potential targets like Mumbai’s Siddhi Vinayak temple and the naval air station, as also the National Defence College here. At the same time, Gen. Malik said Pakistan would remain in denial in spite of Headly’s revelations. “It’s not going to take us anywhere as far as the question whether Pakistan would actually take any action against those responsible for Mumbai attacks as they have been in denial and would continue with the same stand,” he said. According to Rear Admiral Raja Menon (retd), Headley’s revelations “are substantive” but Pakistan “will continue denying that it was ever involved in terror acts either in India or elsewhere in the world”. “They would say that Headley is saying what he was required to say as he is jail. But this does not take away the fact that the (Pakistani) state is involved in terror acts,” he added. Another security expert, Brigadier Arun Sahgal, said Headley’s testimony “carries a greater credibility and to say that he would say what he is required to say is wrong as he is not in an Indian jail”. India must turn the revelations “into a major political campaign all across the world and expose Pakistan further”. Senior Supreme Court lawyer K.T.S. Tulsi described Headley’s revelations as “an exculpatory statement which has higher credibility in a court of law”. “This deposition is undeniable, and the world has to come together and exert more pressure on Pakistan to stop this practice of terror,” Tulsi told. He, however, did not expect much from Pakistan after Headley’s disclosure, saying for the country, it would be a “business as usual”. “I don’t think anything new will happen or Pakistan will do something new in the case that India has presented before it. It’s going to be a business as usual with Pakistan,” Tulsi maintained. Security analyst Brigadier S.K.Chatterji (retd) echoed these views. 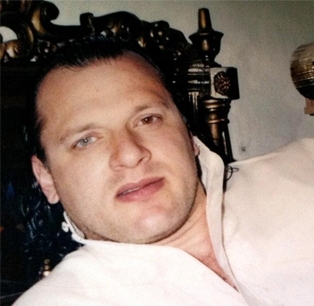 “David Headley’s deposition corroborates the Indian point of view that Pakistan has been indulging in terror acts against India,” Chatterji told.